Sara Rosso asked us to share what sea means to us in this week’s photo challenge. I still remember the first time I visited the beach. I was seven and my family drove from our small town near Macon, Georgia down to Florida to watch the launch of Gemini V. The original takeoff was delayed and the rescheduled takeoff fell during our planned trip to Florida for our family vacation. Our final stop before checking into the motel was for boiled shrimp that we ate in our motel room before getting ready for bed and falling fast asleep. I am sure that my brothers and I wanted to sleep longer the next morning, but we did not give our parents any hassle about getting up before dawn to drive to a crowded beach where we waited for takeoff. The funny thing is that I don’t really remember much about the beach, but I do remember seeing the pencil shaped object rising into the sky and being thrilled to be one of the lucky ones on that beach. Yet, my first real memory of the beach was later when we drove to a different motel further north at Ormond Beach and then got to spend a few days playing in the Atlantic Ocean. I clearly remember how much fun I was having riding an inflatable air mattress into shore until a wave dragged me under and I came up coughing and not sure I wanted to go again. Still, I managed to overcome that first taste of salt water and go back to riding the waves until the inflatable air mattress began to leak. What fun! Yet, today I think differently when I think of the sea. It’s amazing how being a grown-up and living on an island changes your views especially when you have a friend who is a stevedore. And when you’ve had to learn to stock up on toilet paper at the threat of a longshoremen strike or to allow extra time for things that you order to arrive or to accept that you have to pay more for things because it costs to ship them here. I think of all of the people who work in and around the sea. 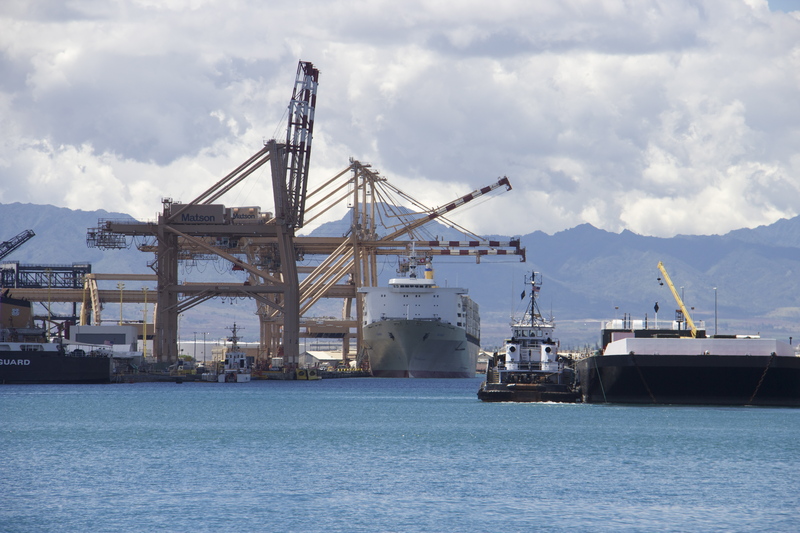 I’m also keenly aware of how many people on Oahu work in sea driven jobs including fishing, tour groups that provide expertise in various ocean skills like diving, snorkeling, deep-sea fishing, parasailing, or working on cruise ships, etc. I don’t want you to think locals don’t know how to enjoy the sea too. 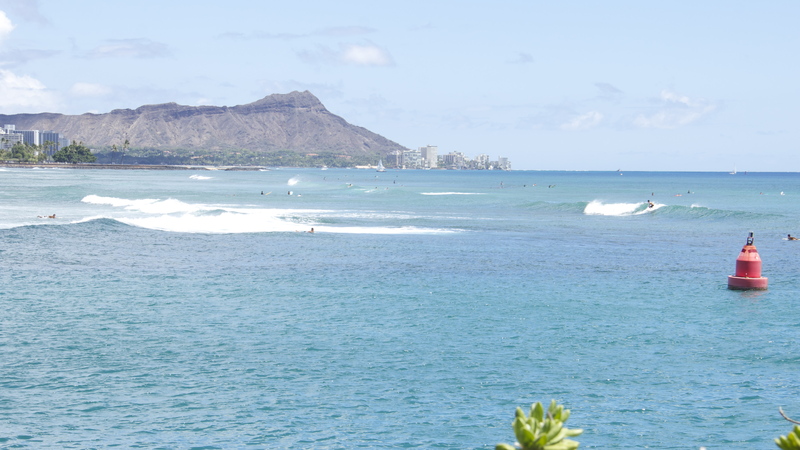 Point Panic is a favorite surfer and body surfer spot for locals. Me? 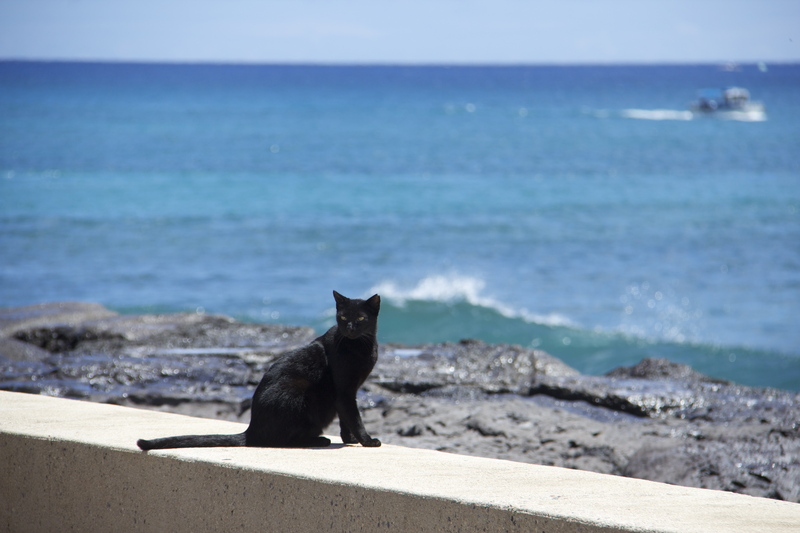 Like this guy, I prefer to watch from the wall or maybe walk along the beach or go on a whale watching tour. I’m so grateful to live in Hawaii. Mahalo! What’s not to love about Hawaii!??! Oh yeah, how long it takes to get there LOL. You’re lucky it’s a tough trip or you’d be totally overrun with tourists 🙂 One of my favorite places in the world-lucky you! 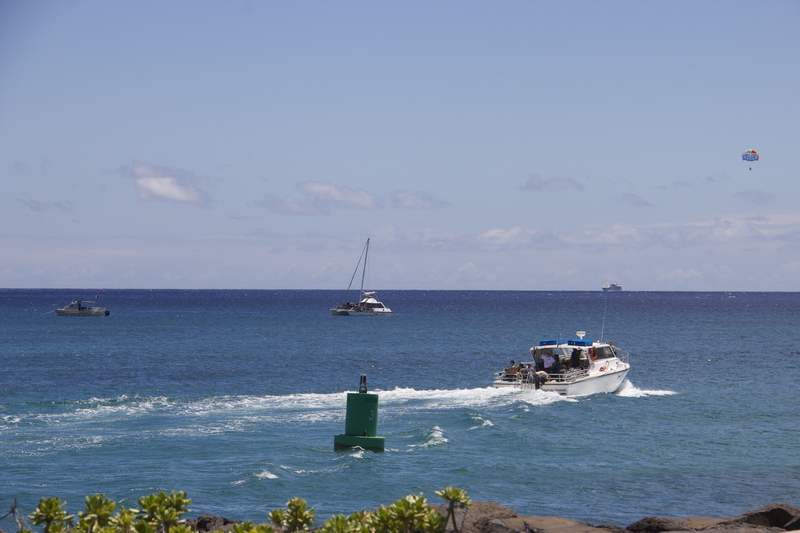 Considering all the beautiful places you have visited, Hawaii is honored to be among your favorites. Your experience as a child on the first time you went to the beach obviously left you with a treasured life-time memory. Now you live on an island, you look at the sea in an entirely different way – what it means to you in your every day life, and how much it impacts your life.